On Wednesday I ran about 18 km (11 miles) trail loop in the forest through Haltiavuori (Elf Mountain). At home I noticed that my phone was lost somewhere along the way. I had not used it at all, but I had messed with my backpack to take photos with my Canon and to eat some snacks. 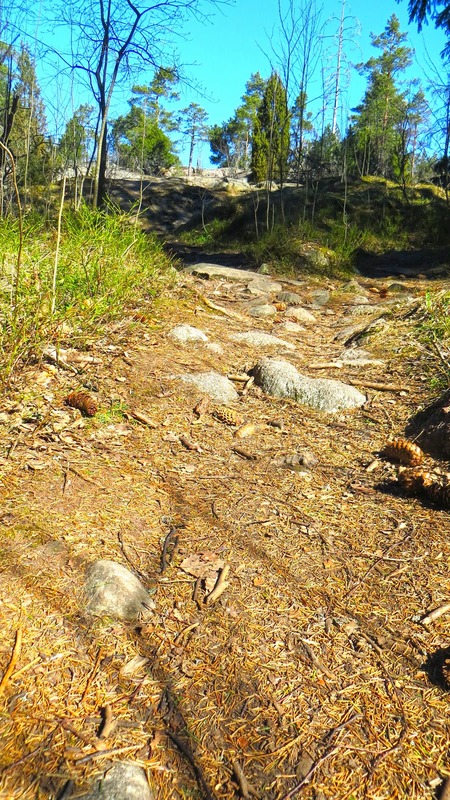 One of my favorite trails to Haltiavuori. Naturally I launched a desperate search operation, but it seemed like an impossible task. I had randomly zig-zagged on new trails for me. In many places I had stepped aside from the trail for a chance to climb on all fours. With a heavy heart I reported my old buddy (we have gone through a lot together) as permanently lost and ordered a new one right away. Boulders near the top of Haltiavuori. On Friday morning I woke up with some sort of crazy insight about the exact location of my lost phone. I though sceptically that finding it would be extremely unlikely, but the weather was very nice and I had time for another run to Haltiavuori. The area behind the pine is close to the place where my phone was lost and found. Guided solely by my intuition, I ran straight to a steep spot with huge boulders. I didn't see anything there, but I stuck my hand in the thick undergrowth anyway and voilà! My trusty black partner was in my hands again. "Holy smokes, Batman" I muttered, not quite believing my eyes. 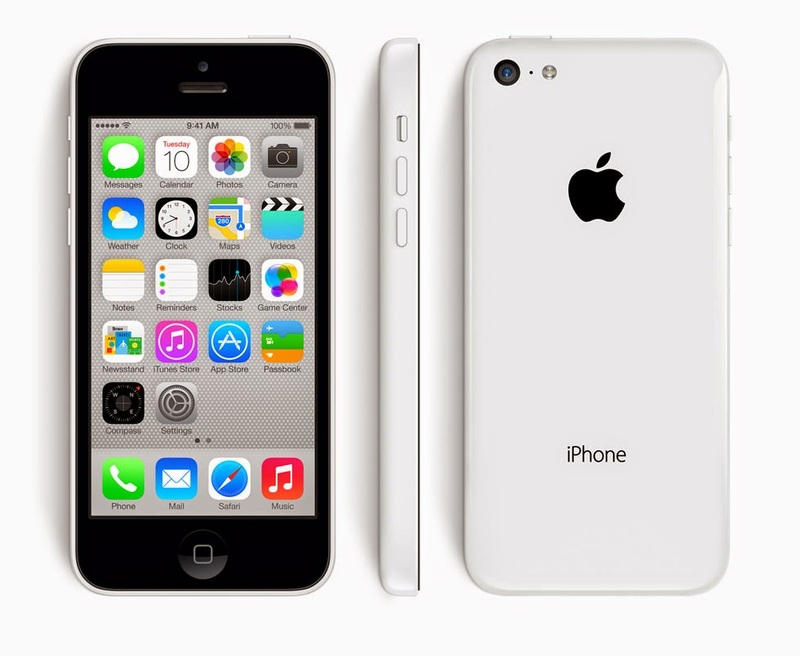 On my way home I went to the post office to pick up my new iPhone 5C - white. Surely 5S could have been a bit better, but since I have a talent for losing things I thought the cheaper model would be less risky. Nevertheless I sincerely hope we can fully enjoy together all the challenging adventures I have planned for us in the near future! Nice!! Intuition is what makes our human world turn round and round. Great find!